Prof. Thomas Rosenau from BOKU, Austria, visited us for a series of lectures given as "International Topics on FIber Engineering" from April 9 to 12, 2018. 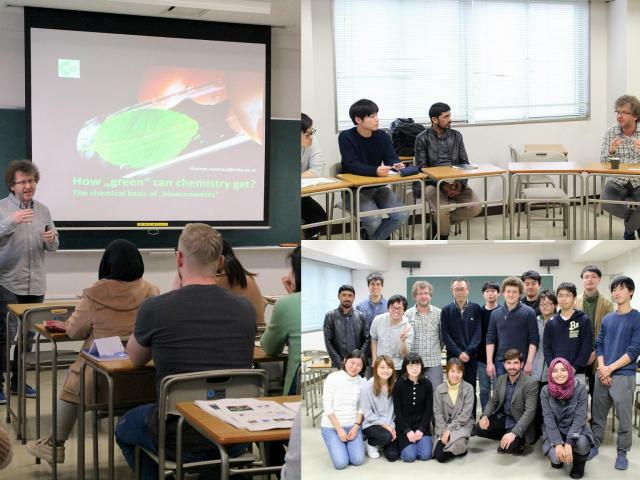 He gave lectures on "Chemistry of renewable resources" and he also shared his experiences on networking in a separate roundtable session. 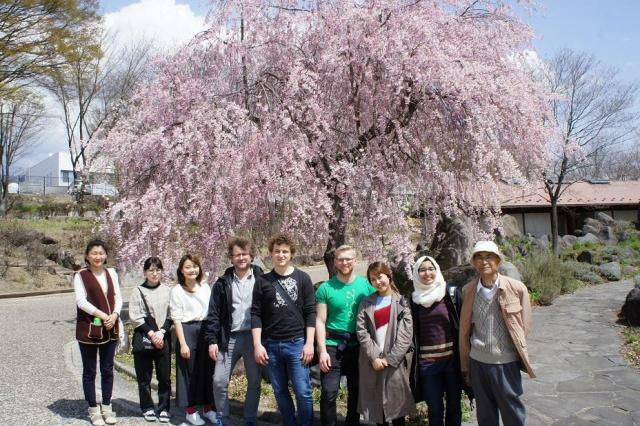 This spring's cherry blossom season came and went so fast and it was a bit too late for Prof. Rosenau to enjoy any in Ueda area, but he got to have a little walk under the cherry blossoms with the students in Tomi, a city next to Ueda.